PinkTaxiBlogger: "Heavy Heavy Hangs Over Your Forehead"
Birthdays, thanksgiving, labor day bar-b-qs, wedding anniversaries, Nawruz, New Year's Eve: all reasons to celebrate, in the Mehra family. But the biggest party of all is always Christmas! Behind the tradition is my dearest Teta Mommy, born herself on Christmas day. She said yes to the handsome Iranian doctor on a Christmas also, making it a triple celebration for everyone. In Iran, she continued in her American traditions. 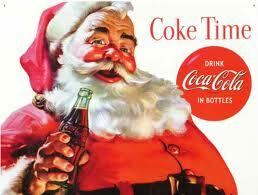 Coca Cola had just created Santa Claus and the Mehras took Christmas to another dimension. Teta Mommy baked,cooked, prepared and decorated the house! She created Christmas paraphanelia and it would come out every year. She sent Christmas greeting cards, that she handcrafted herself and had her children personalize with drawings. Often she would have a picture of her growing family: eventually they were ten children. In each card, she included a letter, in cursive handwriting, that she prepared from the beginning of the January prior, mentioning all the family milestones, in meticulous chronology. Many a Christmas eve, my cousins and I would sit by the fireplace and the ten personalized stockings, waiting for Santa. 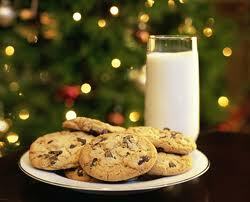 If there wasn't a fireplace, we waited at the front door, with the plate of cookies and the glass of milk. We never spotted him, and always fell asleep. On Christmas day, the tree which was mandatorily huge, was submerged in gifts, all wrapped in a disorderly fashion. 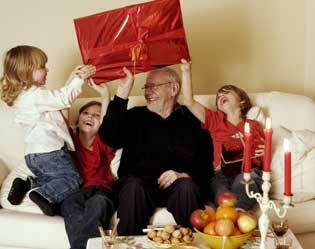 It would take us ALL day to open the gifts because there was a certain etiquette. The master of ceremony, usually a family member with good human resources skills, made sure the etiquette was followed. This consisted in calling the name of the person receiving the gift. That family member, senior or junior, baby or grandparent, had to succumb to the "heavy heavy hang over your forehead, what do you wish for the giver?". The lucky person would then wish a yatch, lots of money, a private plane, a shiny sportscar, a diamond ring to the giver and then the master of ceremony would hand the gift and reveal the secret giver, and the wrapping was torn off in the midst of shrieks of gratitude and multitudes of kisses and hugs. This was done, one by one. We were sometimes in Pjs till much after lunch! If anyone else knows the tradition of "heavy heavy hangs", please do let yourself be known, as I have never confirmed whether it was exclusively a Mehra tradition or if other large families partake in this gift giving ceremony also.